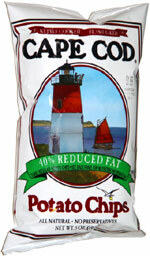 Taste test: I could definitely notice the difference between the original Cape Cod chips and this 40% Reduced fat variety, as these were less greasy and a had a different kind of crunch (a slightly inferior one, but still good). These definitely felt drier than the original Cape Cods, sort of a cross between those and the Cape Cod's Russet chips in terms of texture and taste. 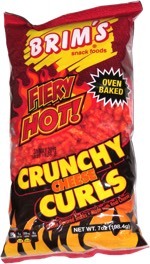 Overall a pretty good chip. Smell test: Kind of an oily smell.